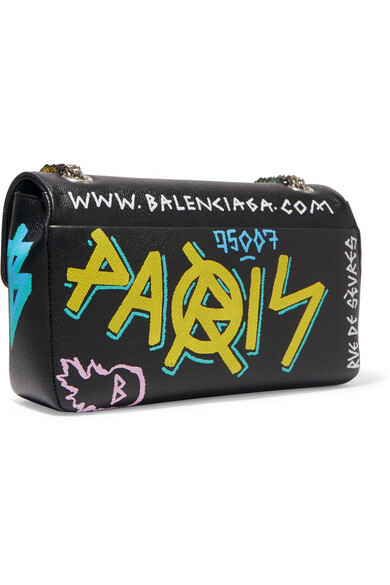 Balenciaga's Demna Gvasalia has always been inspired by street style, so what better way to express his passion than with graffiti-influenced prints? 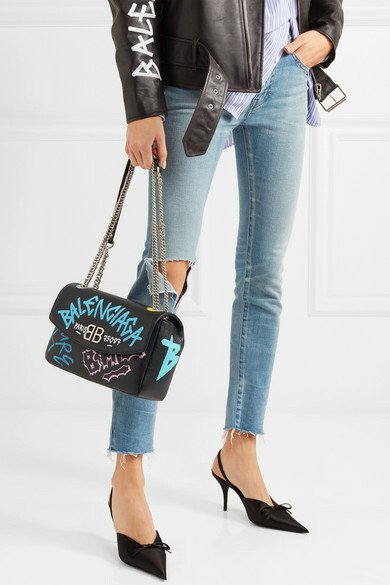 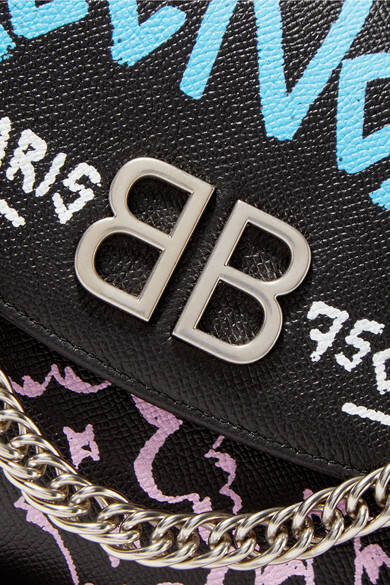 Scrawled with the house's iconic Parisian address, this black bag has been made in Italy from textured-leather and opens to a roomy interior with two pockets. 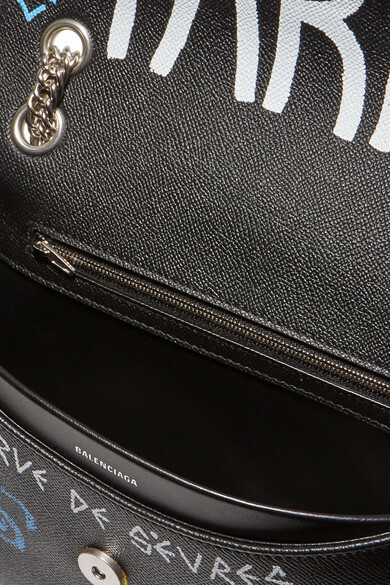 Adjust the chain-trimmed shoulder strap to wear it cross-body. 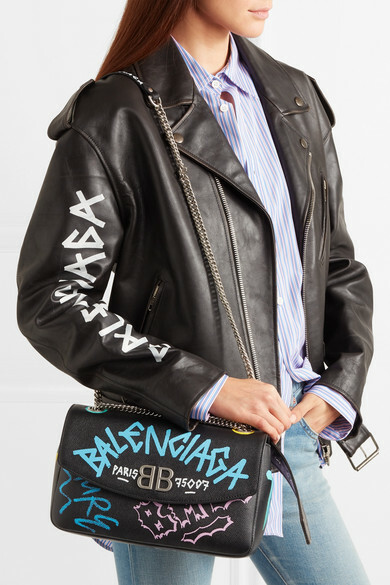 Shown here with: Balenciaga Biker Jacket, Balenciaga Shirt, Balenciaga Pumps.